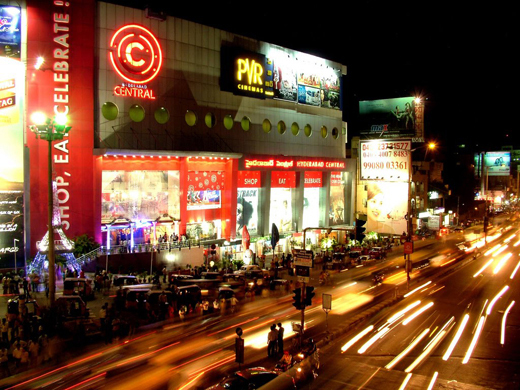 Hyderabad is a shopper's paradise; you can find anything and everything in the many stores & malls throughout the city. From the world famous pearls to traditional arts & crafts, from ethnic wear to all modern brand names, the city offers an astounding variety of shopping. And what's more unlike many other cities, shopping is not confined to a particular area in Hyderabad. Many international and national brands have set up retail chains here. The city has multiple Central Business Districts (CBDs) spread across. There are many major business/commercial districts from the older Charminar area to newer places like Jubilee Hills. If you want to take home the delights of Hyderabad, take a stroll in many markets in the evening... the city is bound to charm you with its warm touch and hearty glitter. The main shopping areas include Banjara Hills, Panjagutta, Jubilee Hills, Basheerbagh & Abids. You can find everything in the biggest showrooms from jewellery, textiles, handicrafts to footwear, ready-mades and general goods in the markets. Other favoured places are Begum Bazaar (brassware), Laad Bazaar (diamonds, pearls and precious metals) and Mahatma Gandhi Road. Shilparamam is a must-visit shoppers’ paradise for all visitors. It is an ethnic art and craft village - try some of the spectacular objects of art, crafts, beautiful and decorative knick-knacks of all kinds, traditional handloom textiles, carpets, durries and bed linen made here. The other areas in the City, which are turning into hubs for shoppers include Ameerpet, Himayatnagar, Begumpet, Somajiguda and Punjagutta. The City also boasts of mega malls providing everything under one roof from shopping to entertainment and food, giving the shoppers a unique experience. 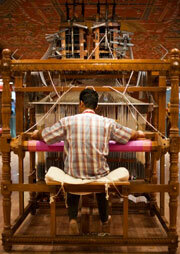 Handicrafts and toys are among the most sought-after hand-crafted pieces for the shoppers in Hyderabad. Paintings from Cheriyal and brass metalware from Pembarti, both in Warangal district, are the legacy of the benign Kakatiya rulers. The paintings in Cheriyal are done on scrolls to depict scenes from mythology while the sheet metal-ware is for decorative pieces. This is an art that is influenced by Persian culture where a quill is used to paint on fabric. There are two types of Kalamkari printing in Andhra Pradesh. The decorative pieces and wall-hangings of Srikalahasti in Chittoor district is one, while the other is block printing on fabrics for dress material and furnishing at Machilipatnam in Krishna district. These are wooden toys and their design and colours are very traditional and unique. 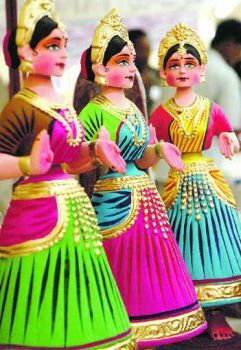 Colourful representations of mythological figures from Hindu epics, birds, animals and occupations of daily life, these toys have a distinct and unique style, making it one of the most popular souvenirs for tourists. Bidri is the name of the town where this ancient art of silver inlay work on grey alloy metal developed and reached great aesthetic heights. Bidriware today has been aptly designed to suit contemporary taste. One can buy cuff-links, vases, ashtrays, ornaments, knick-knacks, nameplates and many other articles of daily usage. Famed for the stunning contrasts provided by the shining silver and brass inlay work, the unique charm of Bidriware cannot be claimed by any other metalware. These are paintings done in softwood using indigenous colours with plain and embossed designs, Nirmal paintings are exquisite in style and theme portraying grandeur through its traditional themes. Under the patronage of the Nizams, the city turned into a veritable utopia for pearls. Little wonder then, that Hyderabad has become the Pearl Capital of the world. The ancient pearl trade still continues today in the many pearl stores. The most exclusive, rarest & best quality pearls in the world can be found here in Hyderabad. Artisans have over the centuries become experts in segregating, categorizing and polishing pearls to give them various attractive hues. Hyderabad itself is known for its bangles made of glass and lacquer and studded with stones. The best place to shop for bangles is the Laad Bazaar adjacent to the historic Charminar. And shopping here is an awe-inspiring experience for new comers as they witness the markets around the Charminar that are as old as the city itself, 400 years and counting! You will find the most scintillating mélange of Lac bangles, richly studded with precious and semi-precious stones, pearls and glass beads in different colours and shades. You can get marvelous brassware, from the famous master craftsmen of Pembarti. 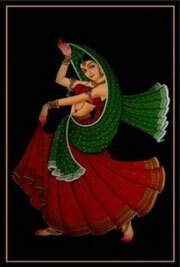 Painstakingly created, these exhilarating beautiful statuettes, figurines and decorative panels make wonderful gifts.